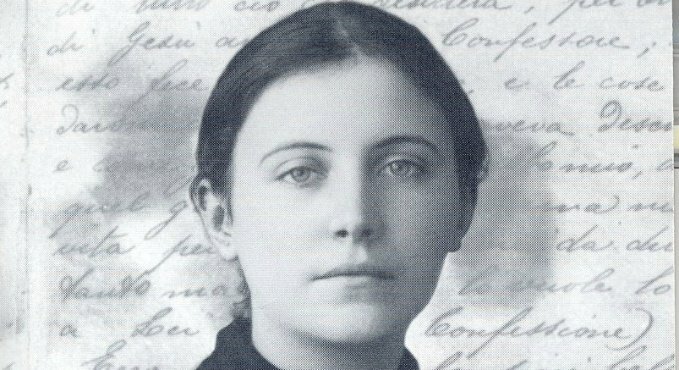 Oh glorious St. Gemma Galgani you suffered excruciating back pain for years. You know how painful it is to have doctors cauterize your back and how restricting it is to wear an iron brace. You know well what people with back pain suffer. Teach (name person) through your perfect example how to suffer out of love for Christ for the salvation of souls. O holy saint, you embraced suffering and sacrifice with tranquility and deep joy. So, St. Gemma, we offer to you (name person) and all who suffer with back issues. Plead with the Holy Spirit to fill them with every grace needed to endure their suffering with grace, humble resignation, peace and joy. Please take (name person) in your holy arms and carry him/her to your beloved Spouse fervently praying that He take (name person) in His arms and place him/her within His Sacred Heart and heal him/her if that be His holy will. Thank you St. Gemma for interceding for (name person) and for pleading his/her case before the Lord. I look forward to a favorable outcome through your intercession. Amen.